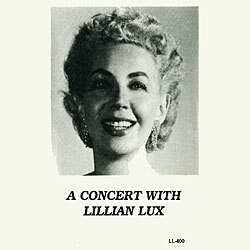 Notes Lillian Lux has a golden voice which can handle a range of song styles, from the nostalgic "Haifa at Night", to the comedic "Mama Yo Quiero." A beautiful and talented performer, she sings with her heart as well as her voice. Her special quality and talents are clearly evidenced in this wonderful album.